A judge yesterday ordered a former aide to Prince George's County Executive Wayne K. Curry to remain home in the evening and to install a locking device on his car that detects alcohol on the driver's breath. The hearing yesterday marked the initial courtroom appearance by Brian T. Flood, Curry's former spokesman, who was charged Tuesday with vehicular manslaughter, driving while intoxicated and 11 other traffic offenses in a fatal hit-and-run accident last month. Through his attorney, Leonard Stamm, Flood pleaded not guilty to all charges. But after listening to a county prosecutor's argument that Flood posed a threat to the community, Circuit Court Judge Graydon S. McKee III granted the state's request to set bond at $20,000. He also ordered the installation of both the locking device and an electronic wristband designed to monitor Flood's movements and prevent him from leaving his Hyattsville home in the evenings. McKee assigned the case to a Calvert County judge to avoid any potential conflict of interest. Prosecutors contend that Flood was inebriated when he plowed into 51-year-old Evelyn Manning, a stranded motorist who was standing behind her disabled car in the middle lane of Landover Road in Cheverly. In his argument before McKee, Assistant State's Attorney Eric Nee noted Flood's arrest in September on what initially was a driving while intoxicated charge in Fairfax City. "One time, it can be argued, is an aberration," Nee said. 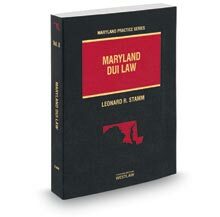 "Two times, it can be argued, is a problem for the state of Maryland. I submit to the court that Mr. Flood poses a threat to the community." Stamm said that alcohol was not involved in the fatal crash last month, and noted that the charge in Virginia was reduced to reckless driving. He said that since the crash last month, Flood has attended Alcoholics Anonymous meetings daily and sought counseling from his clergyman. Flood was arrested nearly 10 hours after the accident, which occurred about 10:45 p.m. Dec. 29. A Breathalyzer test showed that Flood's blood-alcohol level was 0.11, slightly above the 0.10 legal limit in Maryland, according to police. He was released on personal recognizance. Curry, who had announced that Flood would be his administration's top spokesman three weeks before the accident, suspended Flood immediately after his arrest. Last week, Curry fired Flood. Flood did not utter a word during the 15-minute hearing yesterday. Stamm said Flood's equity in his house could cover the increased bond, but he argued against the wristband monitoring device, saying it would disrupt Flood's family life. Flood is married and has a 9-year-old son. Stamm said that Flood is looking for a job. Under McKee's directive, Flood would be required to drive only one of the family's personal cars, and he must install the locking device by Saturday. The driver of the car must first breathe into the device before starting the car. If the device detects any alcohol on the driver's breath, the car will not start, Stamm said.